The Sinsky Pillars on Russia's Lena River have recently been included on the list of UNESCO World Heritage sites. 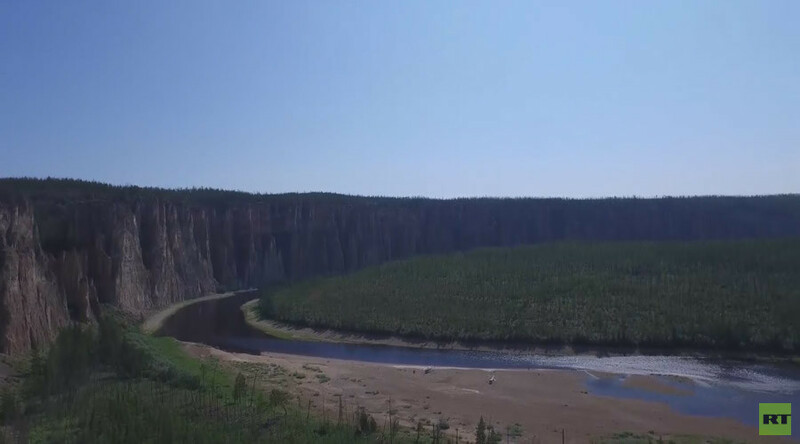 The grandeur and beauty of Siberia’s wonder of nature can now be seen in spectacular drone footage. 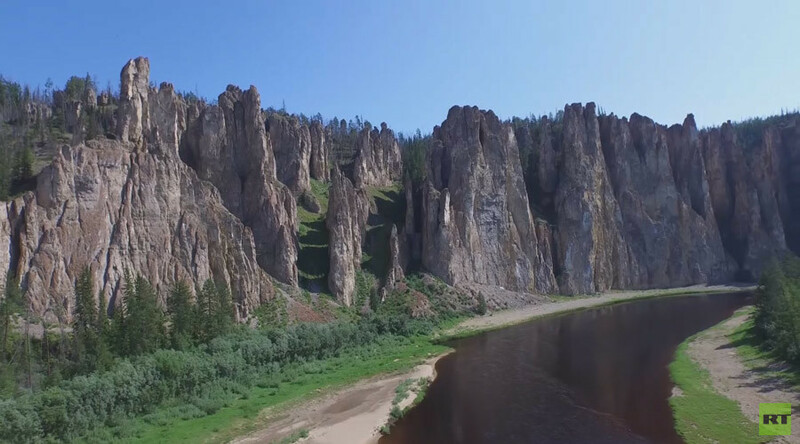 The pillars in the Yakutia region, some soaring to 100 meters (328 feet), were formed during the Cambrian period hundreds of millions years ago. Deposits containing a rich complex of fossil organisms that are over 500 million years old can also be found on the pillars, scientists say. The surroundings of these limestone formations are also recognized for a number of rare species of animals and plants, as well as Neolithic cave drawings. "Apart from its esthetic beauty, the territory is also of particular value for the purposes of science and study of our planet's history during the Cambrian explosion," Tim Badman, director of International Union for Conservation of Nature and Natural Resources (IUCN), said when announcing the site's inclusion in the World Heritage list. 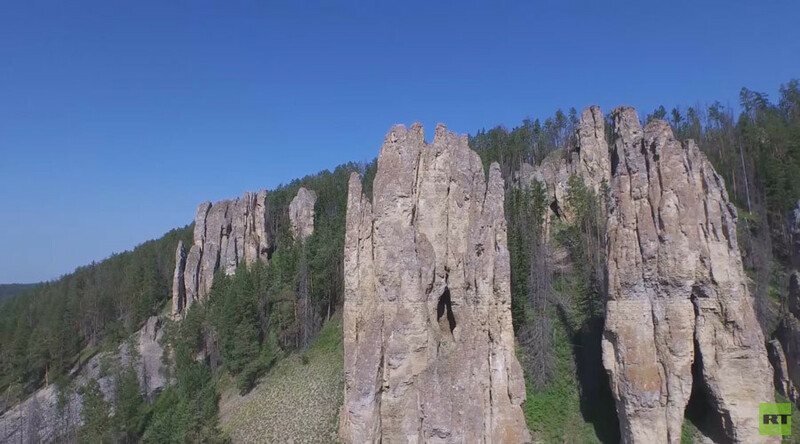 Earlier in July, the Sinsky Pillars were amalgamated in the famous Russian Lena Pillars Nature Park in Yakutia, which has been recognized by UNESCO since 2012. With the new addition, the area of the nature park expanded by nine percent, and now covers almost 14,000 square kilometers (1,400,000 hectares).